Nothing really brings the outdoors in than nature’s loveliest accessories: plants. These not only offer the sense of calm you’d experience in a countryside or beach environment, they effectively help purify your air too. Keep in mind conditions that allow indoor plants to thrive. Plants that can survive under a roof usually come from subtropical climates that are accustomed to growing in varied light conditions. Consider what kind of lighting your room has, and so a little research on which plants are best suited for your space. Your local nursery (we LOVE Brooklyn Plantology in NYC) can share information on this and customize your plant selection based on your area’s climate. If large plants seem too daunting to care for, have a look at smaller plants like succulents or even faux plants that offer the visual effect. 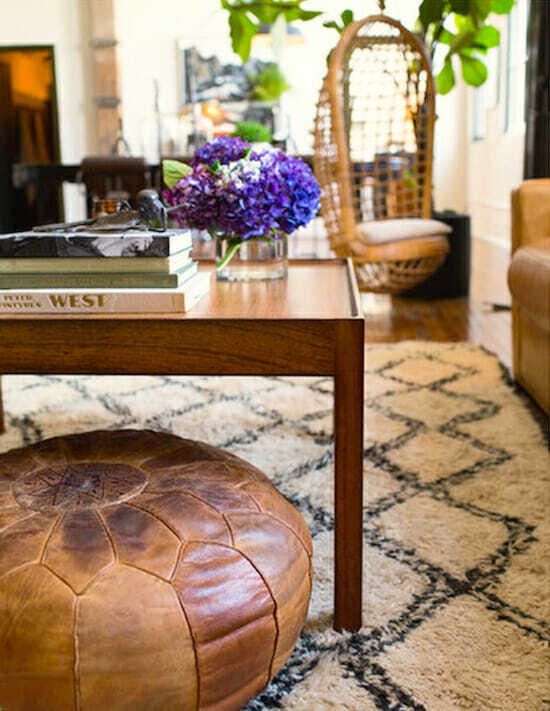 For more on decorating with plants, check out our blog 5 Ways to Use Botanicals in Design!! Color and mood are related. Bright, bold hues are often used to mark an event such as celebration and joy. 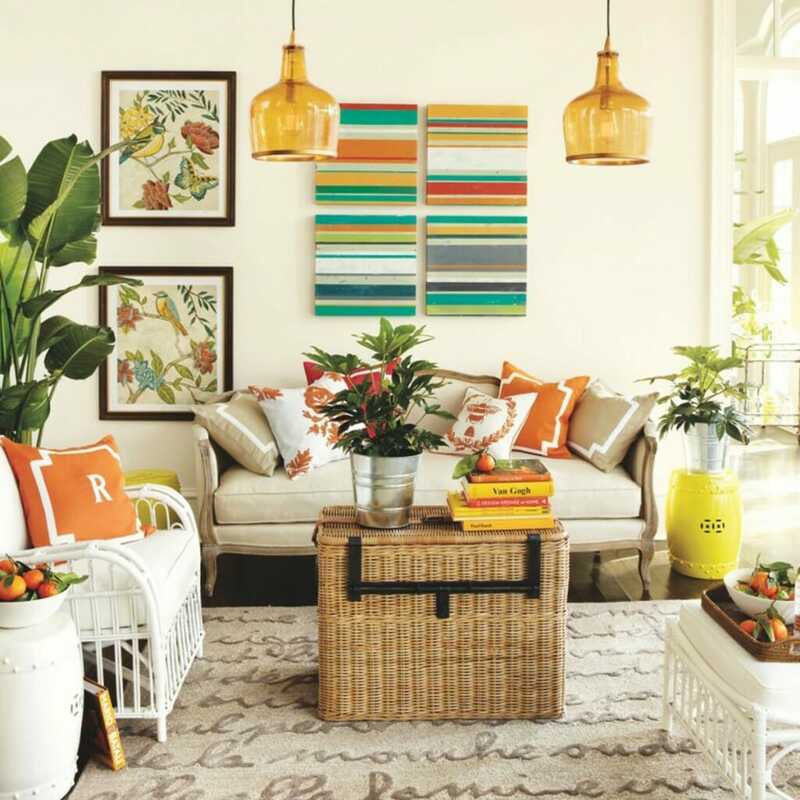 Think about making your living room or dining area feel like a vacation home or hotel room in the tropics. Swap out muted throw pillows with fun, colorful patterns. Paint an accent wall a deep turquoise to conjure up images of the sea. Roll up the wool rug and opt for a sisal one instead. 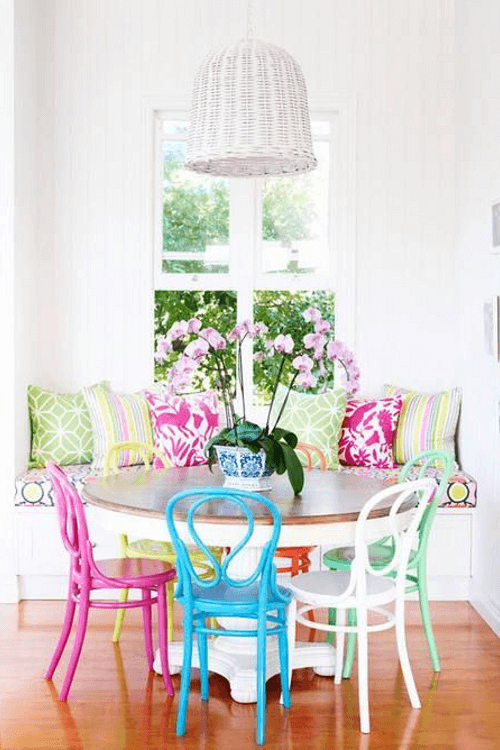 Small changes like these can really invite a summer-y feel to your home. 3. Be airy and free. Making a space feel open and light is key in summer decoration. Selecting items like fabric like sheer for window treatments or making an effort to reorganize space and eliminate clutter can easily lift the feeling of a space. 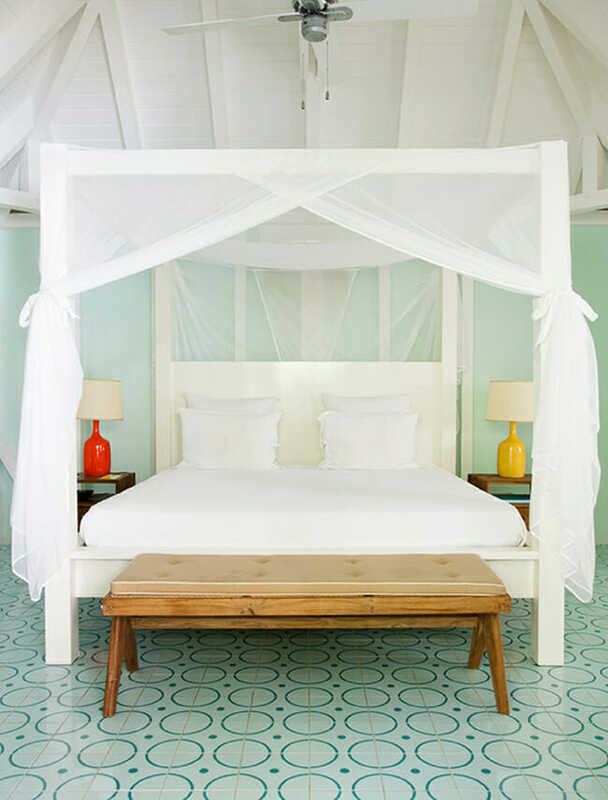 Whitewashing walls and floors are also a sure way to give a home a beach feel while making a room appear expansive. If you have a piece tucked away from a vacation, think about bringing it out this summer. Things like textiles, masks and framed vacation photography can spice up walls while conjuring up feelings of adventure, observation, and fun. These also make great talking points with visiting guests! 5. Decorate with vacation inspiring art. So maybe a European vacation is not in the cards this summer. No matter. Inspire yourself and others with pieces of art or decor that make you feel like you’re on a get-away. Hang a hammock in your patio, put up gorgeous images of the ocean on your living room wall, add a pouf to kick your feet up. Think about what relaxes you when you’re on vacation and incorporate some of those items into your home decor. Chances are, you’ll like hanging out in your space a whole lot more. Written by Creative Design Expert and lover of summer, Christine Martin.